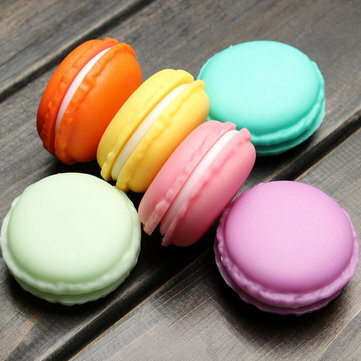 This is a macaron modeling small storage box, with the cute attractive styling, innovative design, it is fashionable and beautiful. Beside the attractive appearance, it it also pratical and multi-functional, it can incorporate your jewelry, earrings, necklaces , pill and etc. Made of flexible and soft plastic, it is waterproof and can prevent the items you storage from damage. Great for holding small jewelry, pills, etc. something different to keep you earrings rings or earplugs in your handbag ! Very cute and useful ,nice colors!